Order in the next 51 minutes and it will ship today! 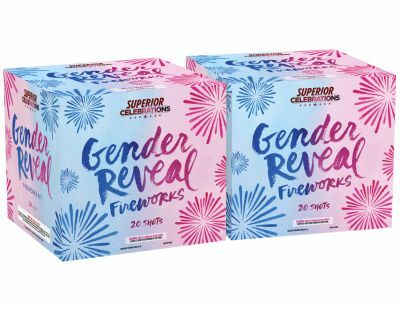 This fireworks set is the most exciting way to announce the gender of your baby! It includes one all-blue firework and one all-pink firework, with discrete packaging that doesn't give away the color until you light it and watch the show. The labels includes instructions for telling which is which.